Here are a couple of quick updates on some factors that we've discussed in recent weeks. Last week, we highlighted the Dividend Yield factor in our US model. At the time, our Factor Profile tool had isolated it as being “Extremely Oversold” at -2.24 standard deviations below the historical mean on a normalized basis. Today, this factor sits at -2.31 SD below the mean, after bottoming out at -2.33 SD below the mean on July 24th. On a cumulative basis, we've seen the factor rally 7 bps in the past week (-0.46% > -0.39%). 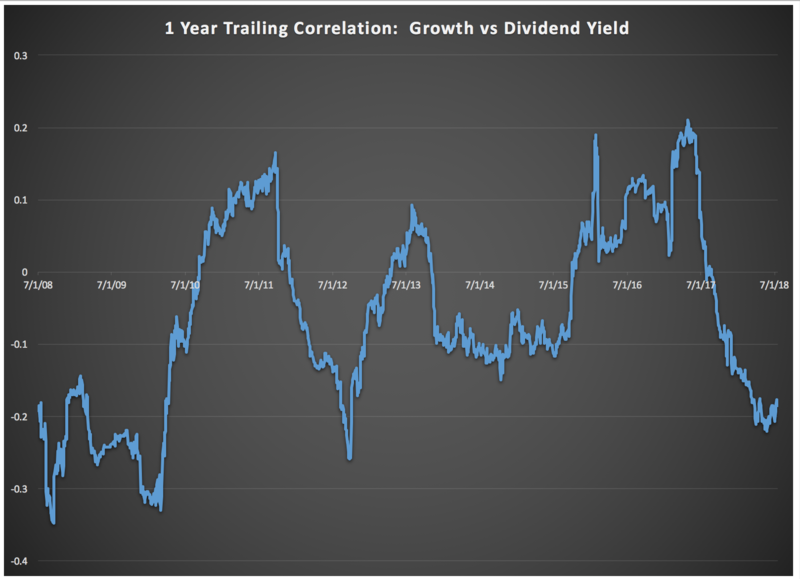 This makes sense as we've seen the Dividend Yield factor rally in periods of slower growth, and sell off in periods of higher growth. On July 19th, this factor was +1.37 SD above the mean (normalized), and has since fallen to +1.31 SD above the mean after hitting a peak of +1.42 SD above the mean on July 23rd. On a cumulative basis, return for Growth has fallen from -0.46% to -0.57% in just the past week. On July 12th, we flagged Medium-Term Momentum (one of the most closely followed factors in the market) as being "Oversold" at -1.54 SD below the mean (normalized). In the past two weeks, this factor has rallied +84 bps on a cumulative basis, and now sits at -0.93 SD below the mean, which our Factor Profile tool considers to be "Neutral" territory. As we mentioned a couple of months ago, the sectors that are currently most correlated with Medium-Term Momentum are Software, IT, and Semiconductors.